If you follow me on Twitter or Instagram you'll probably already know I've had a little hair makeover. After debating whether or not to go for 'the chop' that every blogger and her dog have gone for, I was kind of left with no choice. I thought I would be really cleaver and move my ombre up a little. I've been wanting to do this for some time, but I was waiting for my hair to be in a little bit better condition before I ruined it again. I generally use the Jerome Russel Blonde to lift my colour, but for some reason this time round I picked up one from Smart Beauty. The lift was great, I'm really impressed at home much it lifted my darker hair, however my ends weren't so happy - hello chewing gum hair, and had to be chopped. This isn't the first time I've cut my own hair, in fact I don't think I went to the hairdressers in 2013. I generally give my barnet a little trim every now and again, and especially after dying it to get rid of the excess split ends. However, this time it certainly needed more than a trim. All in all I think I took about an inch and half off the ends - I really wanted that blunt look so I chopped away until I was happy. Bleaching the ends of my hair, really has taken it's toll. I try my hardest not to use too many heat styling tools on my hair, but I have to blow dry it as the feel of wet hair goes through me. Thankfully I have a few little products that give me a hand at keeping my locks in decent condition. The Clynol* Wonder 10 blow dry spray is amazing at adding volume to my hair. I naturally have very flat, pin straight hair so anything that can add some bounce is a winner in my eyes. It also means I generally don't have to style my hair after I've dried it, as it gives me the sort of bed-head look I like. I received the Schwarzkopf Liquid Oil Conditioner* when I went for my blow dry at Partners Salon (post here) and it's been a Godsend ever since. 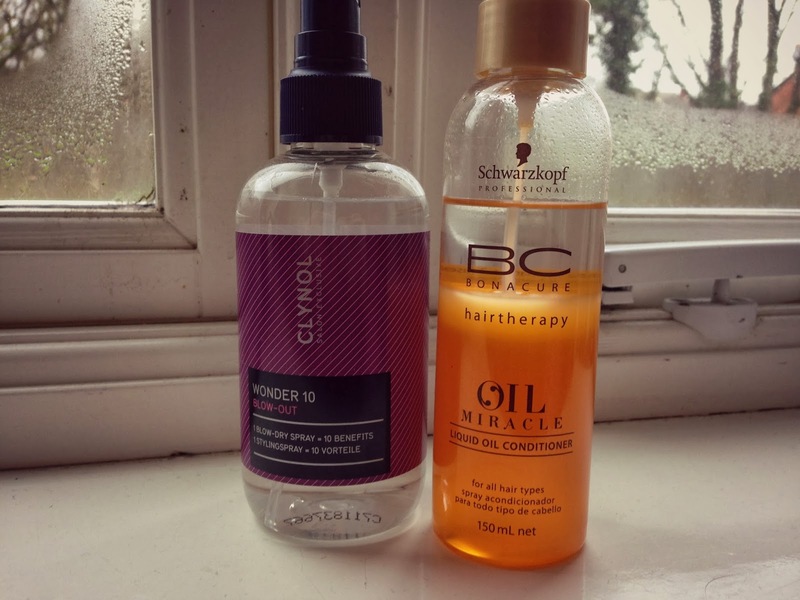 I'm all for using good oils in my hair but Moroccan oil can be a little messy and I always find I pull chunks of hair out when I'm applying it. This has the same idea and is full of lovely conditioning oils for my hair, in one easy to use pump spray - what more could a girl need. 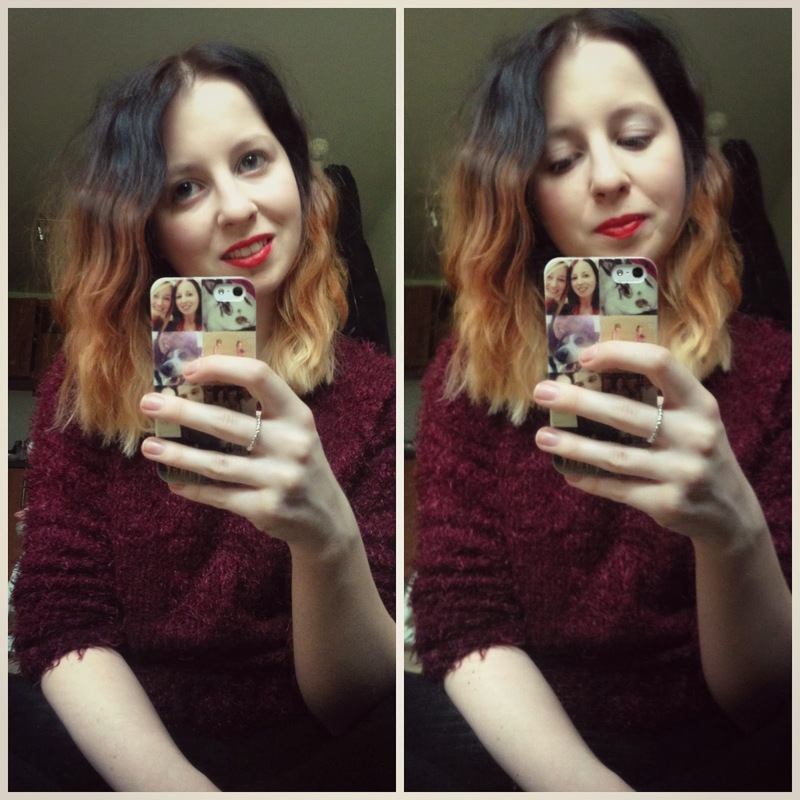 So here's my new DIY'd look, it's not a huge change but it's enough for me - new year, new hair. Ooh love the color and the blunt cut :D You should always use coconut oil with bleaching to save your hair :D That liquid oil conditioner sounds so good. Wish my hair wasn't colored so I could use it!! Suits you :-) I've also been planning on going for the chop but can't decide if a blunt cut will make me look too young - I already look a lot younger than I am! Ha. You were brave doing it yourself but looks like you've done a good job! 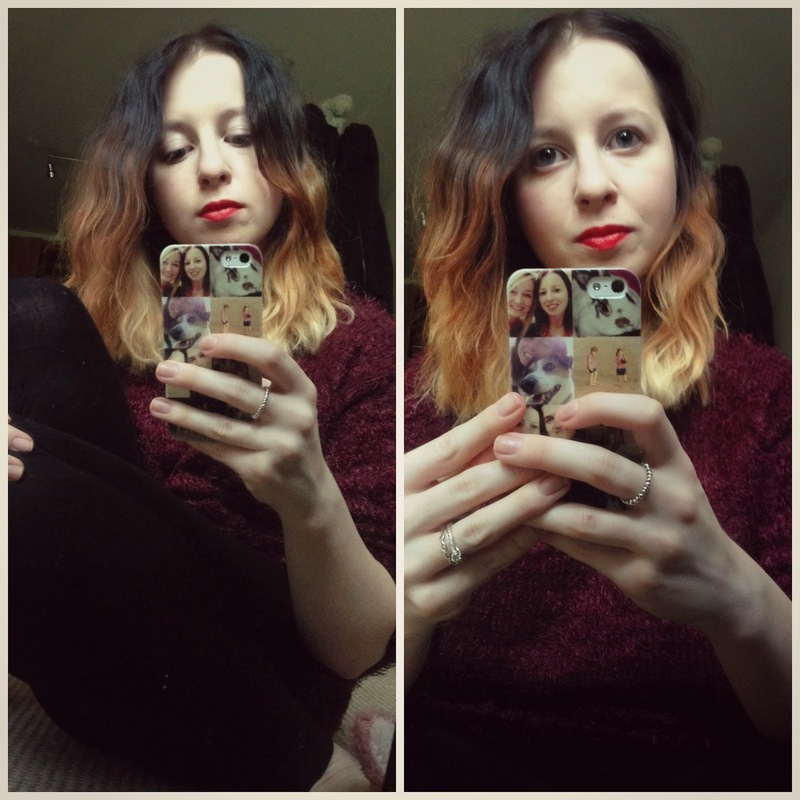 I really fancy ombreing my hair recently.. I might do it tomorrow actually! I am so happy short hair is coming back into fashion! Omg how did you cut it yourself? Tutorial please!! Obre looks great especially with the red lippy! I really love the change in colour, and how gradual it is!